It may come as a surprise to teachers and students alike that textbooks aren’t gospel. We tend to trust that our American history textbooks are telling us the truth when they tell us Columbus “discovered America.” When we only see white male authors on the syllabus of our 19th Century Literature class, we’re inclined to think that there were no female authors or authors of color in the 1800s. But these are skewed and false versions of history presented to us with a neat bow on top, meant to continue systems of oppression and inequality. 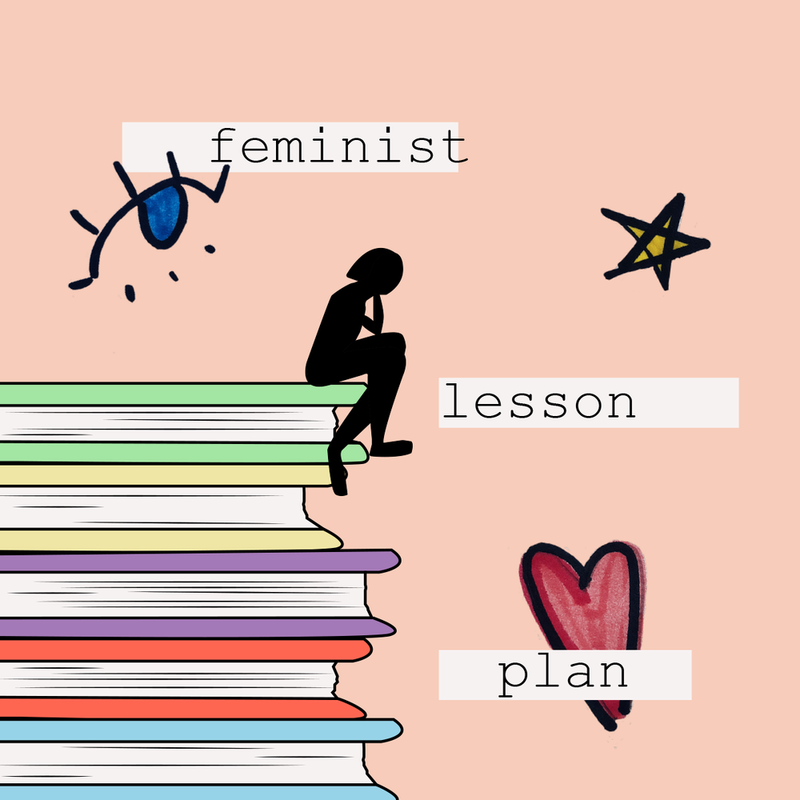 So whether you’re a teacher hoping to present your students with tools to put these so-called “facts” to the test, or a student planning on challenging your class’s syllabus, check out this feminist lesson plan. The first step is to pick a subject. Let’s go with history . Even though textbooks tend to underrepresent women, some achievements are hard to ignore. Even the language used, however, can undercut women’s achievements. Take the phrase, “Women were given the right to vote in 1920 when Congress passed the 19th Amendment.” Sound familiar enough? Well, the construction of this sentence puts women in a passive position (“Women were given”) and Congress in an active position (“Congress passed”). What does this do? (Looking at you, English teachers). This reduces women’s hard battle to win the right to vote, which included unconstitutional arrests, hunger strikes, and verbal abuse, as well as making it sound as though Congress benevolently gave women suffrage without prompting. Ask your class: What do you think women had to do to get the right to vote? Challenge the students to think beyond what their textbook may tell them and make them demand a bigger picture. After presenting your class with this sentence, and then a counterpart: “After years of protests, women achieved the right to vote when the 19th amendment was passed by Congress.” Ask them what the difference is. In this second sentence, women have an active role (“women achieved) while Congress has a passive role (X was passed by Congress). Ask your class: Why Congress might have decided to give women the right to vote? Challenge them to consider what might have motivated Congress besides a desire to right a wrong. After deconstructing these sentences, have the class read this speech by Alice Paul about women’s suffrage. Then, turn the discussion on its head and ask who else or what else might be left of the story of suffrage. After discussing this subject for ten minutes, have them read this article about racism in the suffrage movement. Even though we’ve mostly been discussing the subject of history, these questions can be applied to any subject. If you are a student, ask why math problems give examples featuring gender stereotypes. In your science classes, speak up and ask why so much of the subject refers to men as a neutral subject and women as a specialized. And in your English classes, we’ve already seen the power sentence structure holds! If you are a teacher, challenge your students to look beyond what is given to them so that they can deconstruct assumptions about the world that they’ve already internalized. 1. Being happy and sad at the same time as if that’s completely normal. I had the opportunity to experience the Sugar and Spice pop-up in Williamsburg, Brooklyn myself and stuck around- after many pictures and Instagram stories of the space- to chat with founders Maira and Renata about their journey launching Sugar and Spice. According to The Columbus Dispatch, the city’s Office of Diversity and Inclusion reported increases in the city’s investment in women-run businesses. As of 2017, the city saw the highest rate of contracted companies with women as their heads in recent history. The department is said to be working closely with local businesses to focus on implementing diversity training, but some groups are questioning how much change these tactics are bringing about. 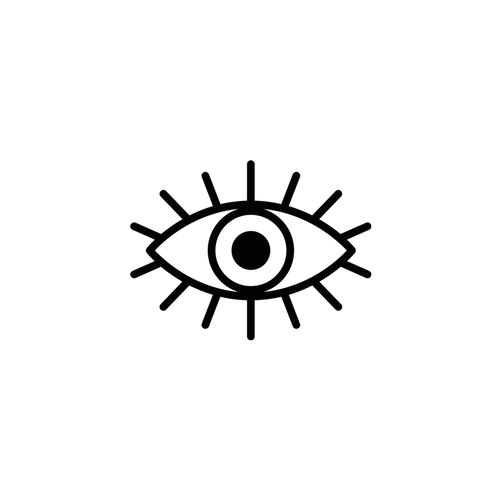 Women in law firms are reporting that a grey line exists with sexual assault committed by clients seeking counsel from law companies. Many women working at these firms note that they are too afraid to report any inappropriate behavior committed by clients because they fear their claims will be overlooked. In an alarming studying conducted by the Times UK, researchers found that people are more likely to recommend a male counterpart for a job when asked to think of a recommendation. This, the study finds, is due to the fact that women have been socially stigmatized as knowing less and holding familial roles. The MLB’s Diversity and Inclusion team has set out to involve more women in the industry. The team’s initiative is to bring a larger amount of diversity to the table in hopes of showcasing different talents throughout the MLB company. Sixty women, with experience in both baseball and softball, were invited to a two-day event where they are able to showcase their talents in either playing, coaching, or scouting. After speaking out against the Youtube Top 2018 list released by Forbes, Lilly Singh received massive backlash. Her distaste for the male-dominated list had her offering suggestions of why women in the Youtube industry were not equally represented on the list. After 25 years of friendship, Judith Balcazar and Anne Davidson joined forces to create a pair of underwear for women post bladder surgery. Balcazar, who recently had bladder surgery, felt that other women might share her insecurities and decided to create what are known as “Giggle Knickers” for women who experience post-surgery complications. In a personal account by Kristen Asleson, the emotionality of women is put into light in relation to workplace motivation. Asleson was diagnosed with breast cancer and since felt a hopelessness that bars her from focusing on work-related projects. Naziya Basharmal was keen on starting her own tailoring business in the Kandahar province despite having only 800 dollars to start up her company two years prior. Her persistence kept her company alive amidst the conservative providence, pushing herself to go beyond gender barriers established in her community. GIGO: Garbage In, Garbage Out. A common concept often used in computer programming. Now though, it has been coined by sociological analysts to explain a common phenomenon in business: if something starts off with bad information or intentions, it will ultimately end up going to bad places. The subconscious pressures of the career women inhibits a psychological barrier for some women because of its negative connotations. Women from different parts of the workforce came together to share their insights on how women manage to “do it all.” The speakers noted that modern business women hold two responsibilities: be dedicated to their job and their family. With the rise of the #MeToo initiative and a cut throat mentality swirling through women in their careers, political leadership was a natural step in the women’s empowerment movement. According to Forbes, experts are calling this election season the midterm of the woman. Chelsea Whelan is Tasmania’s first woman to enroll in a bricklaying apprenticeship. After working in many different fields, Whelan decided that her original goal was what she needed to be investing her time in. Late last year, Whelan enrolled in her apprenticeship where she follows in the footsteps of her father and grandfather before her. In a conversation with high school athletes at Santa Barbara High School in California, female firefighters encouraged young women to enter the public service career path. Specifically, the Montecito Fire Protection District suggested that women look into working on the firefighting force to increase female leadership in public safety. According to the Female Founders Fund, women are increasingly better entrepreneurs because of their position in society. Women like its founder, Anu Duggal, hold an interesting advantage in the world of business. The University of Nebraska-Lincoln is taking initiative to expand their college of business for female entrepreneurs. Currently, their business school is only 33 percent female, following the historically old trend of male dominance in business. Women in the college are speaking out from all ends, from deans to first-year students, they are working to highlight the extensive research and dedication done by women involved in the program. Students are commending the college for making sure women are represented across the board. Women sit as recruitment advisors, associate deans, and esteemed researchers. Kathryn Warner Brightbill told Daily Nebraska of her troubles with gender and career, while also highlighting the successes she’s seen in progressiveness. Warner Brightbill stated that her accounting department is one of the most progressive she’s seen, with women at the forefront of every aspect. She stated that the university and her female colleagues inspired her to keep working on expanding female involvement in the college. Girl scouts in Connecticut are engaging in various workshops showcasing different kinds of construction or development jobs after high school graduation. Building trades in the state are working to include women in the construction industry by exposing young girls in girl scout organizations to electric work, metal cutting, and carpentry. The event was initially reserved for boy scout troops, but with the female representation in these occupations at only 3.2 percent, the state decided to open the workshop to local girl scout troops. The troops are exposed to different tasks required from the jobs, and also provides virtual simulations for more hazardous tasks like crane use. Young girls remarked that the workshop was empowering because they were able to meet with women in the job. The famous car service Uber partnered with the wildly popular company Girl Boss to put more women in executive positions. Girl Boss works to inform and empower women everywhere by providing podcasts and information on women’s accomplishments around the world. This October, the companies held a contest where women were invited to submit business ideas on a ten slide pitch deck. The idea stemmed out of the hit show Shark Tank and aims to close the entrepreneur gap in gender. Women who are finalists in the contest are flown out to New York City where they are invited to pitch their idea to a panel of big-name investors. Jen Rubio is said to be the judge of each business idea and will help find more investors and executives to grow the winner’s business. Uber donated the prize money to finalists in hopes of helping them start on their journey into the C-Suite. I had the opportunity to sit down with an intern who was recently offered a high-paying job at a finance corporation. She described her personal journey with her natural hair and how corporate America is stifling this movement. As only the third woman in history to receive a Nobel prize, Donna Strickland yearns for more woman, like herself, to earn the honor. Strickland’s initial reaction to finding out she was only the third woman in history to receive the award left her dumbfounded and sparked a conversation about women’s underrepresentation. She told Now Toronto that she did not put her gender into account when following her dreams and stuck to her work ethic and drive while doing rigorous research. According to the article, women are paving a path for young women in a number of fields but are not being acknowledged for their hard work and determination. The belief that older generations must mentor and guide more young women in their fields is important to Strickland and her work. Research conducted by the Chicago Tribune shows that women in the workplace are experiencing increased discrimination and wage loss because of breastfeeding. Women have been speaking out about this issue due to the implementation of pods for women to breastfeed in and the accommodation of men’s discomfort over women’s comfort. NPR producer Alexis Diao states that there is an “intense pressure” to prove that women are working at the same level as they were before childbirth and breastfeeding. The “unforgiving culture” in the workplace causes a big increase in the wage gap for women bearing children. An incompatibility with breastfeeding and maternal responsibility is hindering women’s chances to succeed in the workplace after choosing to have a family. Past studies have shown that women who breastfed their children less or not at all experienced a smaller wage loss than those women who breastfed frequently. Earlier this week, India took initiatives to promote workplace safety for women. Sexual harassment in the workplace has become a central issue in the country’s legislature, and officials are keen on mending this problem. The law states that a current female staff member in a senior executive position acts as an officer to the women in the office to provide a safe, consistent voice if need be. This officer is joined by a committee of women in the workplace who are committed to and passionate about keeping their co-workers safe. Any female employee is allowed to confide in the committee or officer about any uncomfortable behavior or harassment she may experience. At a conference in Hong Kong, 50 female scholars from around the world gathered to speak about oppression in their career paths. The male-dominated engineering industry is reaching out to interested young women in hopes of encouraging them to pursue careers in the field. The conference focused on helping young women succeed in any male-dominated industry related to engineering. Many women came forward with stories about their career paths and how being married or having a family were main concerns from their personal mentors. The conference secured that six top ranked universities would pledge to diversify their programs and also hold themselves accountable for the retention rate of women in these specific majors. A new study conducted by Market Watch found that the distribution of small tasks around the office exacerbates the gender wage gap. In an interview, researchers found that women are more likely to be treated like interns or asked to do menial tasks when reporting to male authority figures. The research team also used an app called Hive that encouraged women to track their daily tasks and describe their workplace. This highlighted the study’s initial finding of women being left to do things like “grunt work” and “non-promotable” projects. For privacy, the app left off the names of the companies but assured researchers that the results show gender barriers in the workplace as a multifaceted issue. A number of women came forward after the results to share their own stories. One woman noted that it was an “unspoken” rule that she clean up after her male counterparts, even their own personal workstations, after other employees left work. The Guardian recently highlighted successful women in the construction industry. In interviews, the women noted that the construction sector of the workforce is becoming more female friendly, as uniforms become more accommodating and leaders encourage more women to pursue the career path. Women in STEM and engineering roles have been going to schools to talk to young women about the culture shift in construction and how they can get involved. These women believe it is important for the younger generation not to fear going into the industry because of social constructs surrounding the job. One woman, Dimitra Koutsi, noted that she wants young women to understand the satisfaction of the job and how they can impact people's lives. She said that construction changes people’s quality of life and that pride exudes from this type of labor.